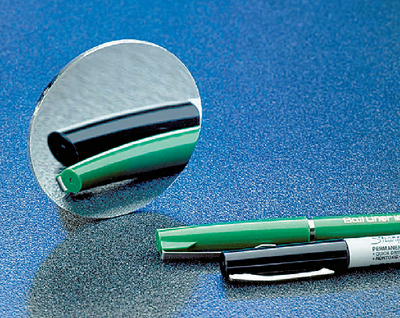 Economical Convex/Concave Mirrors are dual purpose. They have a circular shape and are made of plated metal or glass without overpainting, so both faces can be used as a mirror. The focal length has the same value but opposite sign for both sides.